The number of known H7N9 cases in China surpassed 100 over the weekend, although many scientists suspect that the official count only represents the `tip of the iceberg’. Right now, we have no idea just how big, or small, the hidden portion of that iceberg might be. Perhaps we are seeing the bulk of the cases, or perhaps there are many mild cases fluing under the `radar’. At a press conference today held by the University of Hong Kong, researchers revealed their estimate that roughly half of that iceberg might be hidden. First a report from Bloomberg News, then I’ll be back with more. H7N9 bird flu may have infected twice as many people as the 103 cases reported, an analysis by researchers at the University of Hong Kong showed. There may be 90 to 120 ill adults who haven’t been detected because their infections are mild, Benjamin Cowling, associate professor at the university’s public health research center, said today. The researchers’ analysis suggests risk of serious illness from the virus rises substantially with age, with more than half of reported cases age 60 or older, he said. The `denominator problem’, not knowing how many total infections there really are from this virus, makes coming to any conclusions based on the data we have `risky’ at best. If, as these scientists suggest, there are really 200 cases out there, then the case fatality rate (now sitting at 20%) would be cut to (a still impressive) 10%. Of course, if these researchers have substantially underestimated the number of `missing’ cases, that CFR would be considerably lower. As was told in "The Blind Men and the Elephant" written by John Godfrey Saxe (1816-1887), six blind men touch a different part of an elephant, and each comes away with a different opinion at to what it must be. This story has been attributed to the Sufis, Jainists, Buddhists or Hindus and has been used by all of them to teach that a limited perspective can lead scholars, teachers, and clerics to the wrong conclusion. In the Buddhist version, each man decides the elephant must be like a pot (the elephants' head), wicket basket (ear), ploughshare (tusk), plough (trunk), granary (body), pillar (foot), mortar (back), pestle (tail) or brush (tip of the tail). 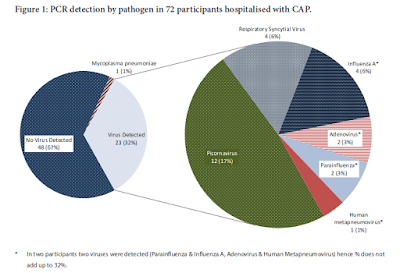 And so it is with the initial surveillance of this H7N9 outbreak in China. We see only bits and pieces of the entire picture, and must try to solve the mystery (or in this case, define the size of the influenza outbreak) based on incomplete information. Over time, as more data comes in and notes are compared, we should get a better idea of what this `elephant’ really really looks like. Until then, about all we can do is accept that we aren’t seeing the whole picture, and act accordingly.